Why is it so hard? Mark Wahlberg is not from Southie. He’s from Dot. Dorchester is not Southie. South Boston is not Dorchester – well, it was part of Dorchester a long, long, time ago – like 200 years ago. So why does the media/press have such a hard time understanding that Mark Wahlberg is from Dorchester? Granted the writer is a correspondent so maybe she’s not from Boston and doesn’t know the difference but there should be an editor fact checking, right? This is not the first time this mistake has happened. Most recently it happened on the Today Show with Willie Geist. 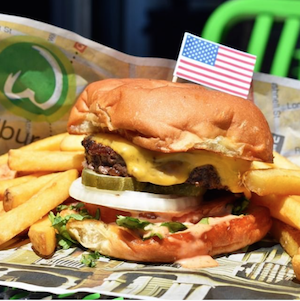 About a year ago, a newspaper from Palo Alto wrote the headline “Eat like a Southie”in reference to Wahlburgers, which is also wrong on a whole other level. So does it really matter if a reporter mixes up two different neighborhoods in Boston? It does to the people who live or grew up there. Snow Day: What’s open in Dot!